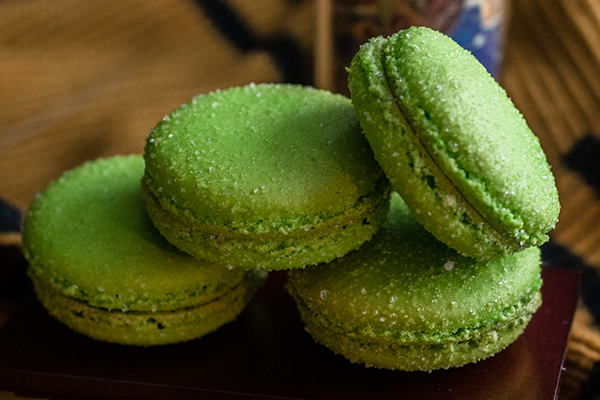 This month we’re serving up magic with our special Harry Potter-themed French macarons! The collection was inspired by our baking team’s love of all things Harry Potter. We chose to create flavors inspired by foods found in our favorite magical novels. This collection is destined to leave you spellbound! For our Butterbeer macaron, we wanted to capture the rich indulgence of this iconic beverage. 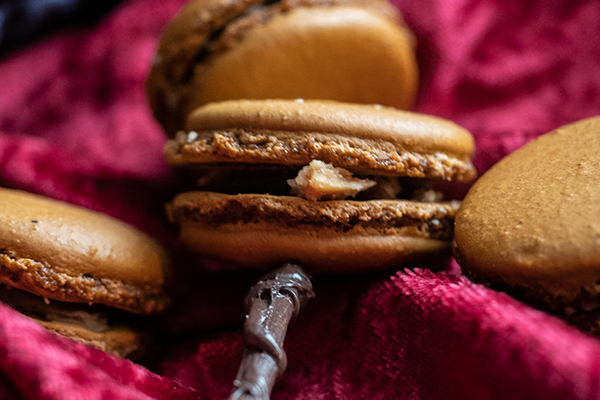 The macaron is filled with a ginger-spiced caramelized white chocolate ganache, as well as a brandy butterscotch center. 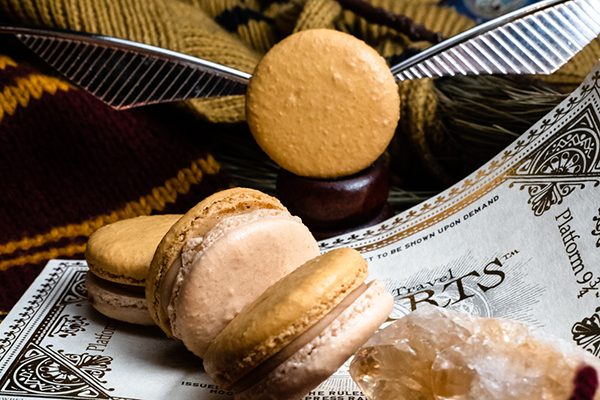 Our Pumpkin Pasty macaron pays tribute to this pastry enjoyed throughout the wizarding world. These are filled with a spiced pumpkin butter sprinkled with a flaky pie crust crumble (wheat-free!). And lastly, we chose to highlight Acid Pops, another magical confection. These are filled with a sour lemon-lime curd.